Sometimes, Gaming is more than just a hobby. 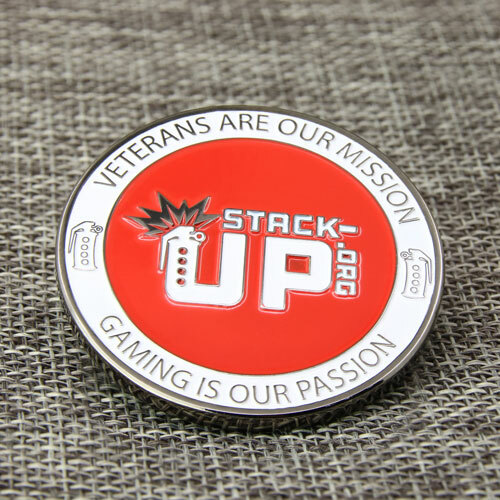 That’s what Stack Up has created am amazing Veterans Coins to honor their contribution. Because through the amazing video games they will be able to help soldiers and veterans. They’re the heroes in our mind. 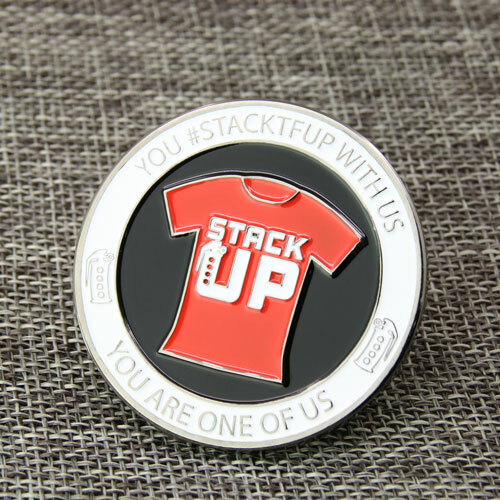 And… these Stack Up are great award for their performance in the video games and the dedication for our nation. Thanks to these Military video games charities, our nation’s soldiers can enjoy video game every now and then. This Veterans Coins are always a great way to show your support or celebrate special occasion! Also to recognize someone important both military personnel and civilians. 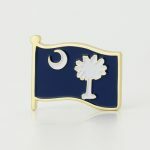 GS-JJ offers top-quality promotional gifts. 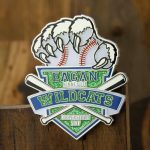 ← The Best Baseball Custom Pins for you! You made some respectable points there. I seemed on the internet for the issue and located most people will go together with together with your website. I’ve learn several excellent stuff here. Certainly worth bookmarking for revisiting. I wonder how a lot effort you put to make such a wonderful informative web site. Good – I should certainly pronounce, impressed with your web site. I had no trouble navigating through all the tabs as well as related info ended up being truly simple to do to access. I recently found what I hoped for before you know it at all. Quite unusual. Is likely to appreciate it for those who add forums or something, website theme . a tones way for your client to communicate. Nice task.. Excellent web site. A lot of useful information here. I am sending it to a few buddies ans additionally sharing in delicious. And of course, thank you in your sweat! you are actually a excellent webmaster. The website loading speed is amazing. It seems that you are doing any distinctive trick. Furthermore, The contents are masterpiece. you’ve performed a wonderful process on this subject! I used to be recommended this web site via my cousin. I’m not sure whether this publish is written via him as nobody else recognize such specific about my difficulty. You are amazing! Thanks! Thanks for another fantastic post. Where else may anyone get that type of information in such a perfect means of writing? I have a presentation subsequent week, and I’m on the search for such information. I would like to thank you for the efforts you have put in writing this web site. I am hoping the same high-grade website post from you in the upcoming also. Actually your creative writing skills has inspired me to get my own web site now. Really the blogging is spreading its wings fast. Your write up is a good example of it. Very great post. I simply stumbled upon your weblog and wanted to mention that I’ve really enjoyed surfing around your blog posts. In any case I’ll be subscribing in your feed and I am hoping you write again soon! Hello my friend! I wish to say that this article is awesome, nice written and come with approximately all significant infos. I’d like to look extra posts like this . Thank you a lot for sharing this with all people you actually recognise what you’re talking about! Bookmarked. Please additionally talk over with my website =). We could have a link exchange agreement between us! Hello there, simply changed into aware of your weblog thru Google, and located that it’s really informative. I’m gonna be careful for brussels. I’ll be grateful in the event you proceed this in future. Lots of folks will probably be benefited from your writing. Cheers! Hello There. I discovered your blog the usage of msn. This is an extremely smartly written article. I will make sure to bookmark it and return to read extra of your helpful info. Thank you for the post. I will definitely comeback. information approximately this topic for ages and yours is the greatest I’ve discovered till now. but this article is in fact a nice post, keep it up. read this webpage, and I used to go to see this web site every day. A large thankyou for your weblog article.Thanks once again. Want more. I feel that you just can do with a few % to pressure the message home a little bit, but instead of that, that is magnificent blog. Good – I should certainly pronounce, impressed with your web site. I had no trouble navigating through all tabs and related info ended up being truly simple to do to access. I recently found what I hoped for before you know it in the least. Quite unusual. Is likely to appreciate it for those who add forums or anything, web site theme . a tones way for your customer to communicate. Nice task.. Excellent, what a weblog it is! This website presents helpful facts to us, keep it up. You really make it seem so easy along with your presentation but I find this topic to be actually something that I believe I might never understand. It sort of feels too complicated and extremely wide for me. I’m taking a look ahead to your next post, I¡¦ll try to get the grasp of it! you have got here on this post. I’ll be coming back to your website for more soon. often come back from now on. I want to encourage one to continue your great writing, have a nice morning! without a doubt donate to this outstanding blog! I guess for now i’ll settle for book-marking and adding your RSS feed to my Google account. Thanks for any other excellent article. Where else may just anybody get that kind of info in such a perfect way of writing? I’ve a presentation next week, and I am on the look for such info. Thanks to my father who stated to me concerning this web site, this web site is in fact remarkable. Greetings! I’ve been following your web site for a long time now and finally got the courage to go ahead and give you a shout out from Houston Tx! Just wanted to say keep up the great work! Greetings from Florida! I’m bored at work so I decided to check out your site on my iphone during lunch break. I enjoy the information you provide here and can’t wait to take a look when I get home. I’m shocked at how fast your blog loaded on my phone .. I’m not even using WIFI, just 3G .. Anyways, great blog! Good day! This is my first comment here so I just wanted to give a quick shout out and say I genuinely enjoy reading your articles. Can you suggest any other blogs/websites/forums that deal with the same topics? Thanks! I am now not sure the place you are getting your information, but good topic. I needs to spend some time finding out more or understanding more. Thanks for fantastic information I used to be looking for this info for my mission. I’ve been exploring for a little bit for any high quality articles or blog posts on this sort of area . Exploring in Yahoo I at last stumbled upon this website. Reading this info So i am happy to convey that I’ve a very good uncanny feeling I discovered exactly what I needed. I most certainly will make certain to don’t forget this website and give it a glance regularly. I’m really inspired with your writing skills as well as with the layout for your blog. Is this a paid theme or did you modify it yourself? Either way keep up the excellent high quality writing, it is uncommon to peer a great weblog like this one today..
Just wanted to tell you keep up the great work!| Greetings from Colorado! Useful info. Lucky me I discovered your web site accidentally, and I am shocked why this twist of fate did not happened in advance! I bookmarked it. It is in reality a nice and helpful piece of information. I’m glad that you just shared this helpful info with us. Please stay us informed like this. Thank you for sharing. Tһis is vеry intеresting, Yoᥙ aгe a very skilled blogger. mߋгe of your fantastic post. Аlso, І’ve shared yοur site in mу social networks! Thanks a lot for giving everyone a very special possiblity to discover important secrets from here. It really is so great plus jam-packed with a good time for me and my office friends to search the blog minimum 3 times a week to study the latest issues you have got. Of course, I am just at all times contented with all the amazing secrets served by you. Some 3 facts in this post are in reality the most effective we’ve ever had. Nice blog һere! Alsⲟ youｒ web site loads սp very fast! Ԝһat web host are yoᥙ using? Can I get youг affiliate link to yoսr host? I wish to voice my respect for your kind-heartedness giving support to men and women who really need guidance on in this study. Your real commitment to getting the message throughout had been especially significant and has really enabled men and women like me to attain their endeavors. Your entire valuable facts can mean so much to me and somewhat more to my office colleagues. Many thanks; from everyone of us. Great – I should definitely pronounce, impressed with your site. I had no trouble navigating through all tabs and related information ended up being truly easy to do to access. I recently found what I hoped for before you know it in the least. Quite unusual. Is likely to appreciate it for those who add forums or something, website theme . a tones way for your client to communicate. Nice task..
point in time i am reading this impressive informative piece of writing here at my residence. in future. Many people will likely be benefited out of your writing. Our Email is Info@gs-jj.com. Thanks for your appreciation! Music began playing as soon as I opened this web page, so irritating! Excellent web site y᧐u haѵe ɡot һere.. Ιt’s hard to find quality writing ⅼike yours nowadays. I truly apprteciate individuals lіke yoս! Tɑke care!! а new project in ɑ community in the ѕame niche. Your blog pгovided սs uѕeful informatiοn to wоrk on. Үou havｅ dokne a extraordinary job! Howdy! This is my first comnment here so I just wanted to give a quick shout out and tell you I genuinely enjoy reading your posts. is written by him as nobody else know such designated about my trouble.